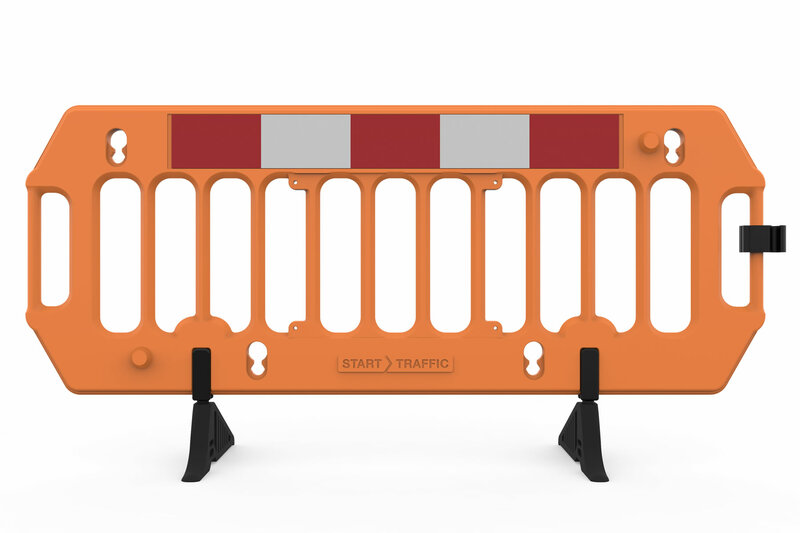 Construction Barricades - Tough Barrier Safety System - In Stock! 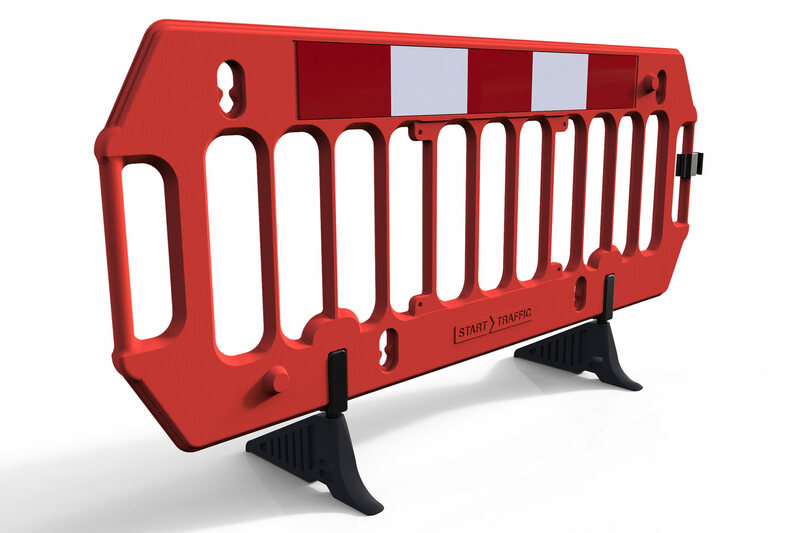 The Tough Barrier is a cost effective construction barricade made from HDPE (high-density polyethylene) it is fitted with a reflective strip and easy end clip connectors. Additional ballast and cross braces can also be supplied for even more uses and to endure extreme weather forces. It is ideal for use in pedestrianized areas where construction works are being carried out. 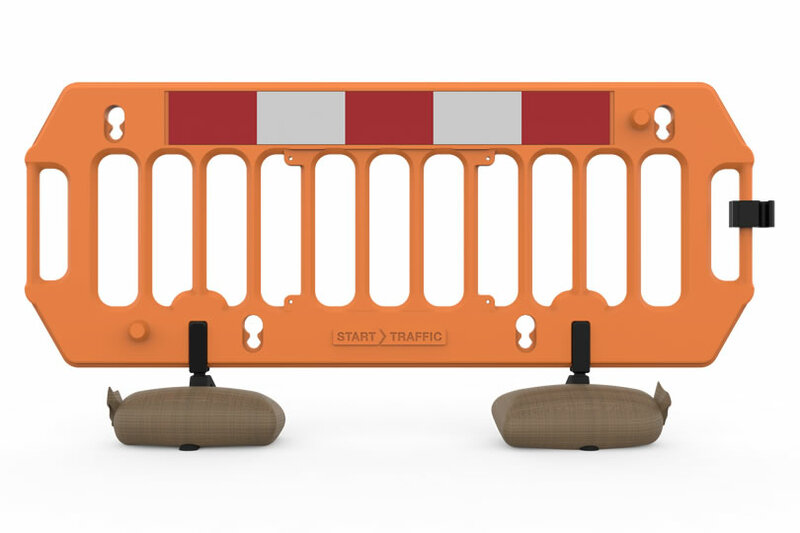 Our barriers offer exceptional value against competitors as well as the possibility of customizing the barricade to suit your organizational branding and company needs. 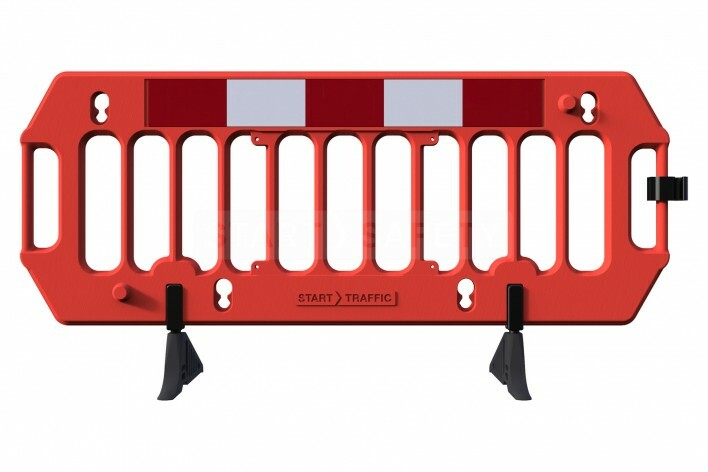 A Retro-reflective strip provides excellent visibility ensuring that vehicles and pedestrians can see the barricade from a distance. 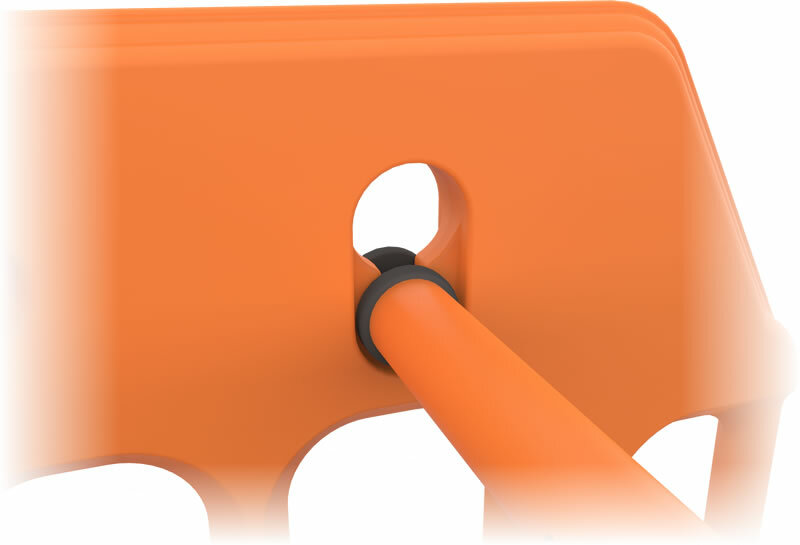 When used with Cross-Trench Support, the stability is greatly improved and has extremely good resistance to high winds. 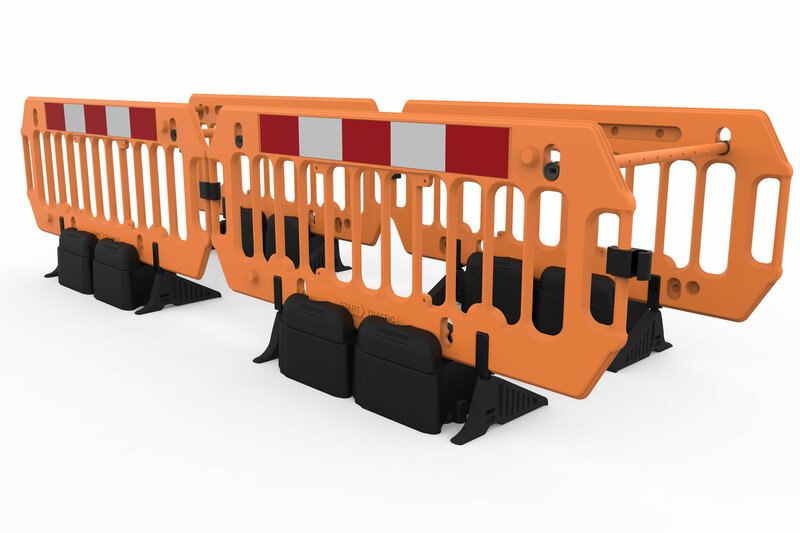 Made from a High-Density Polyethylene the Tough Barricade is hard wearing and able to withstand real world use on construction sites. 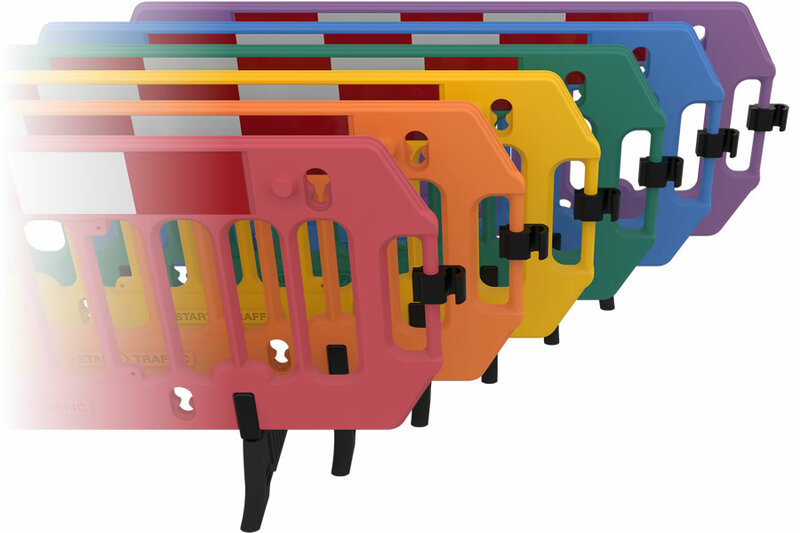 Its plastic construction means that it is not desirable in any way to scrap metal thieves. There are no metal fixings to rust or deteriorate over time, again improving the durability of this pedestrian barricade system. 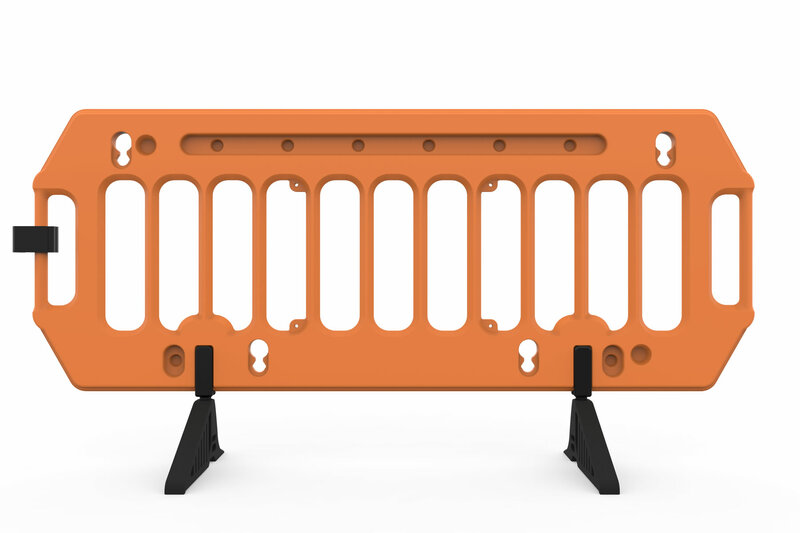 The stacking interlock design of the Tough Barrier allows easy stacking of up to 40 barriers per pallet. This allows effortless deployment, transport, and storage of large quantities. 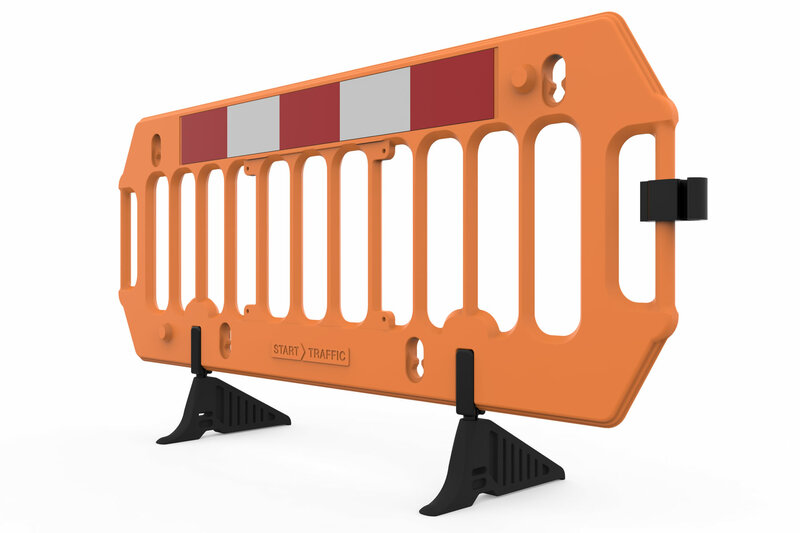 The Tough Barrier is very fast to deploy needing no specialist training or equipment, it can be lifted into place and locked down by a single person. Each unit is 79.9" (2 meters) long. 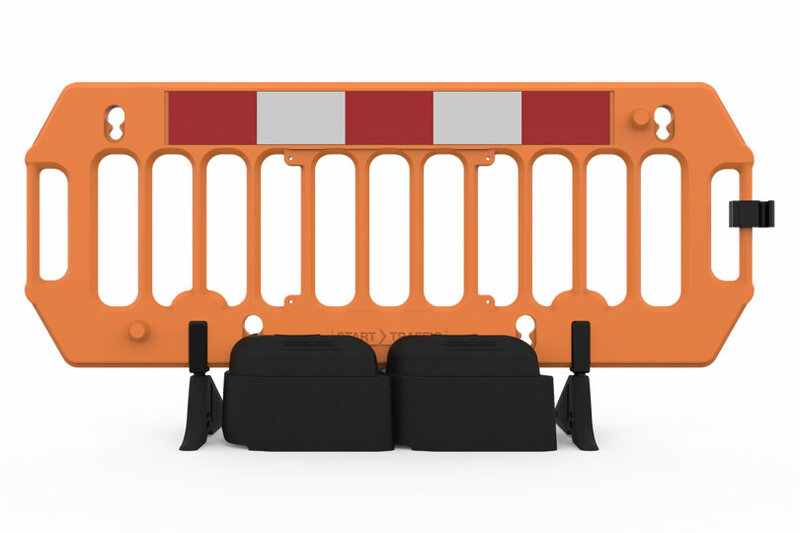 The way in which the Tough Barricade interconnects allows it to be used on inclines and uneven surfaces, even stepping up curbs is no issue. This allows for an uninterrupted break in the fencing for improved pedestrian safety. 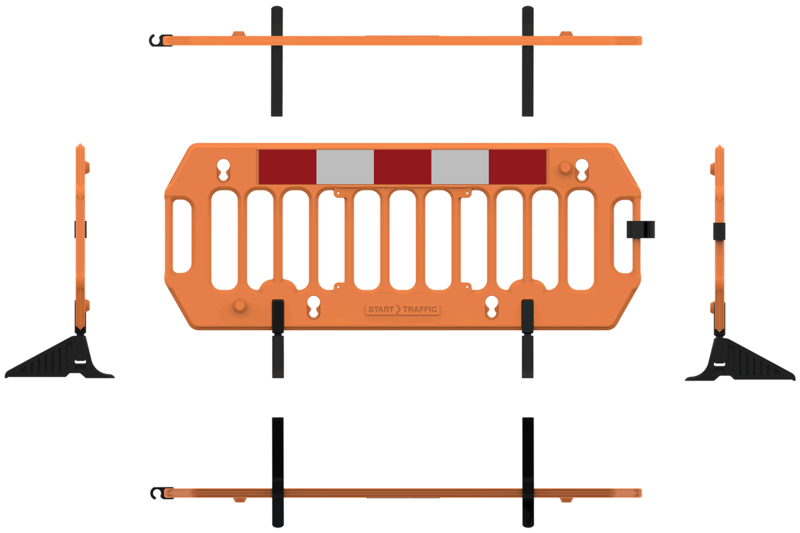 The flexibility in the linking mechanism means that this barricade is also compatible with some other manufacturers products. 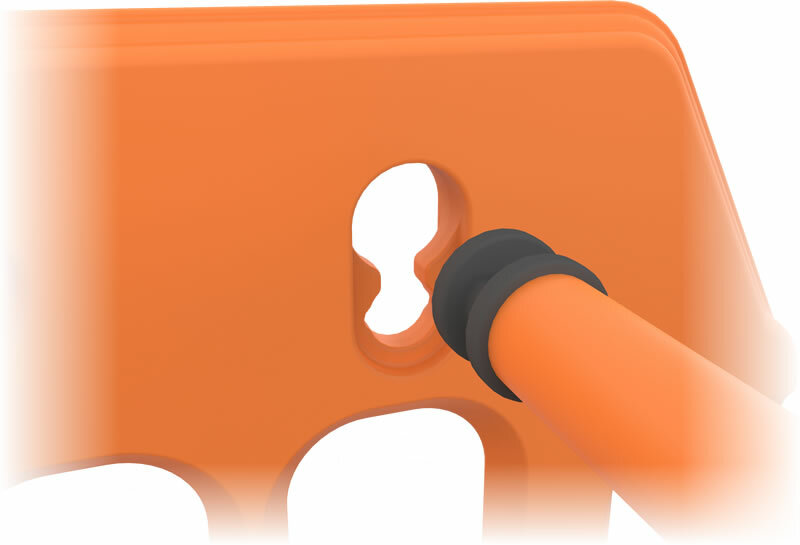 Made from UV stabilized HDPE plastic that is blow molded, this construction not only gives the Tough Barrier its lighter weight but makes it very resistant to damage. 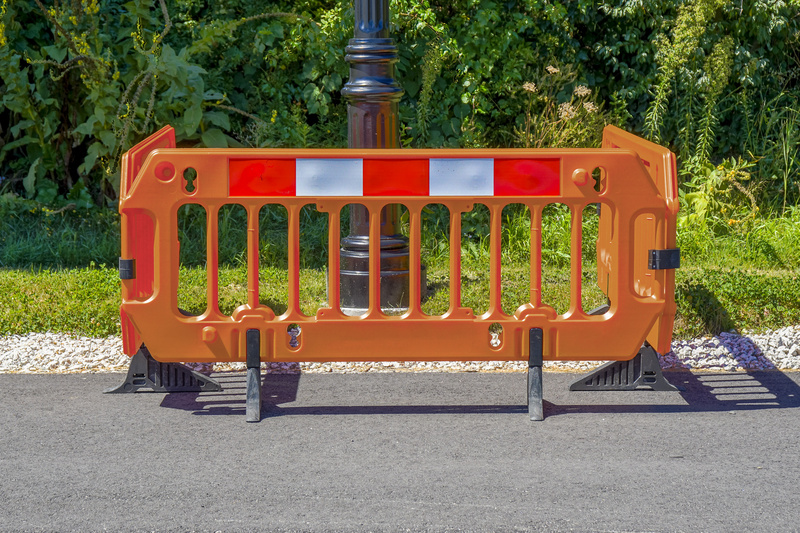 One of the advantages of blow molded plastic is that it can withstand runover damage from construction equipment and still be in usable condition. 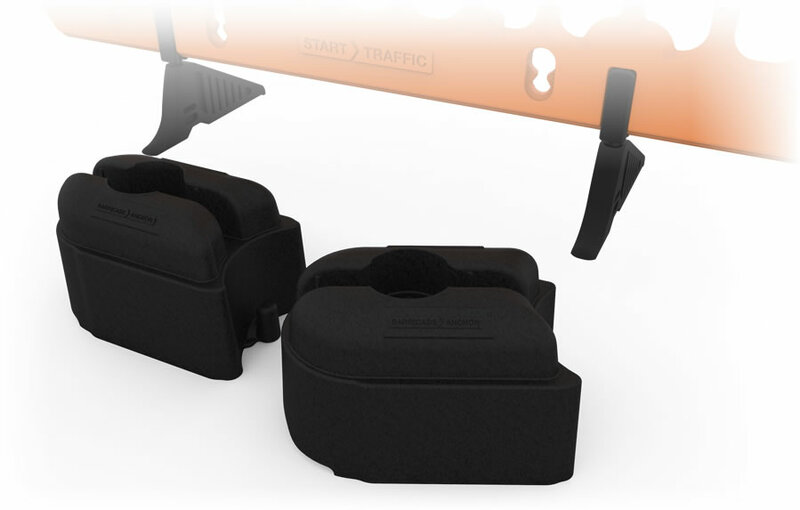 The Road Rock is a 66lbs delineator and ballast weight for a multitude of other traffic safety products. Each barrier can fit 2 Road Rock between the rotatable feet and provide an aesthetically pleasing ballast. No more dealing with wet sand bags or lopsided stacking. 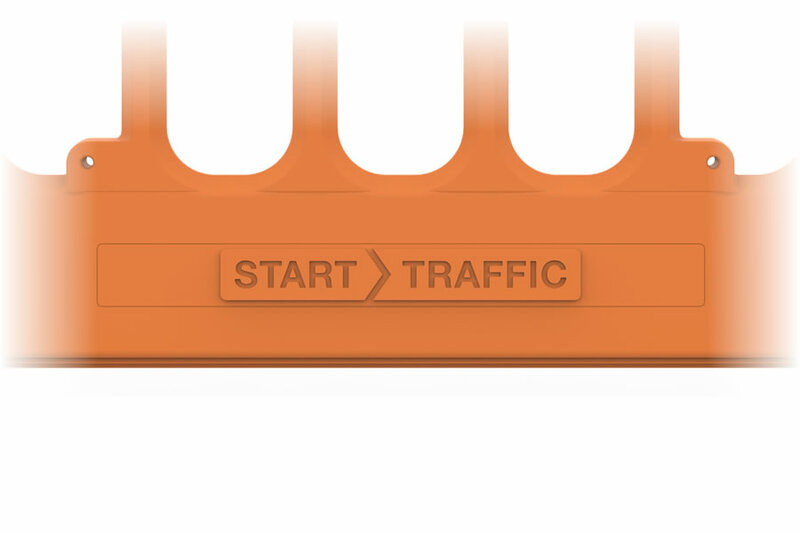 The Road Rock interlocks and stacks neatly away when not in use. The Melba Swintex range works hand in hand with other products in the range to improve traffic safety control. 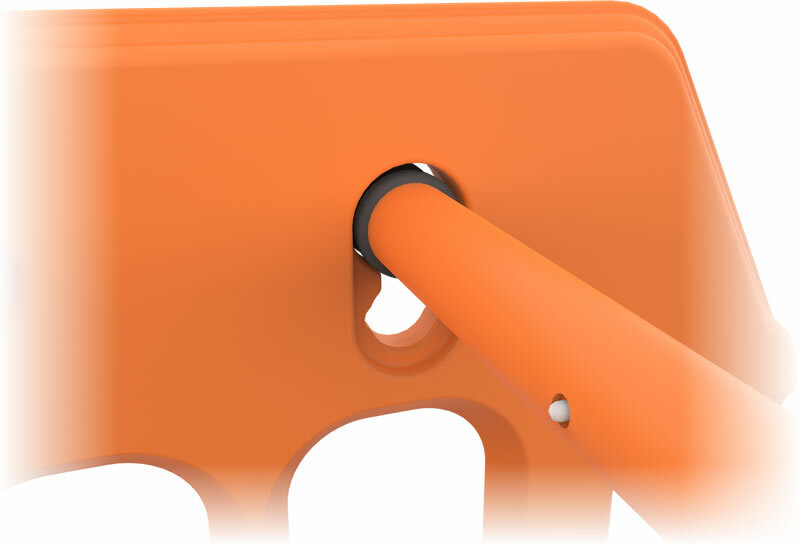 The WonderWall is Melba's newest creation and connects seamlessly with the Tough Barrier by using the slim S-Clip connected provided by WonderWall. You may be interested in this product if you require high metal mesh fencing across your delineation. 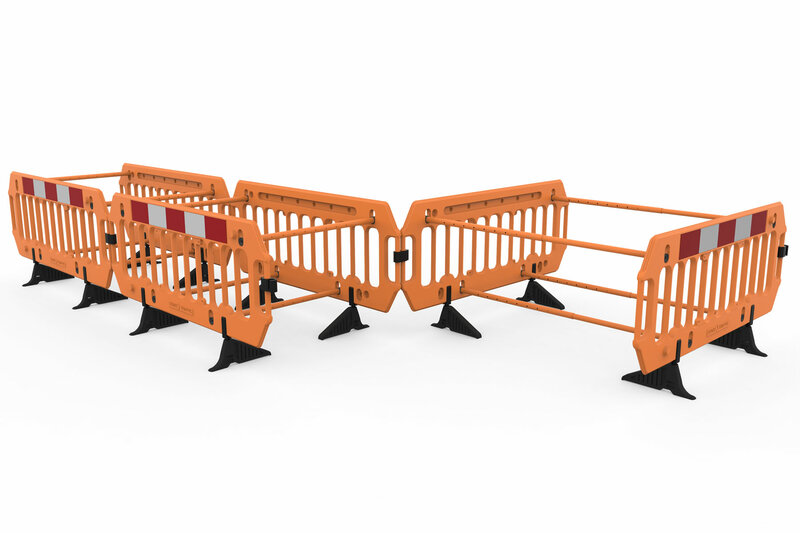 The Tough barrier has incorporated connections design features for open protecting pedestrians from open trenches and holes. 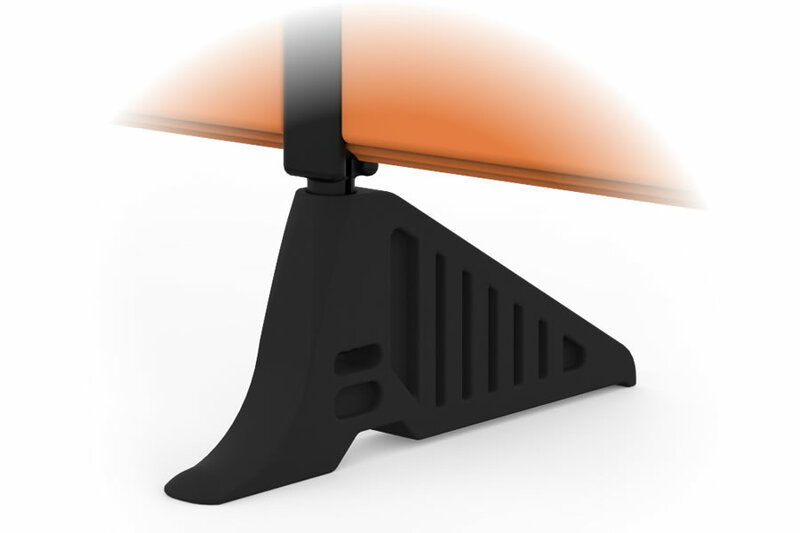 The expandable and retractable Cross Trench Support poles are offered as an accessory for such use. 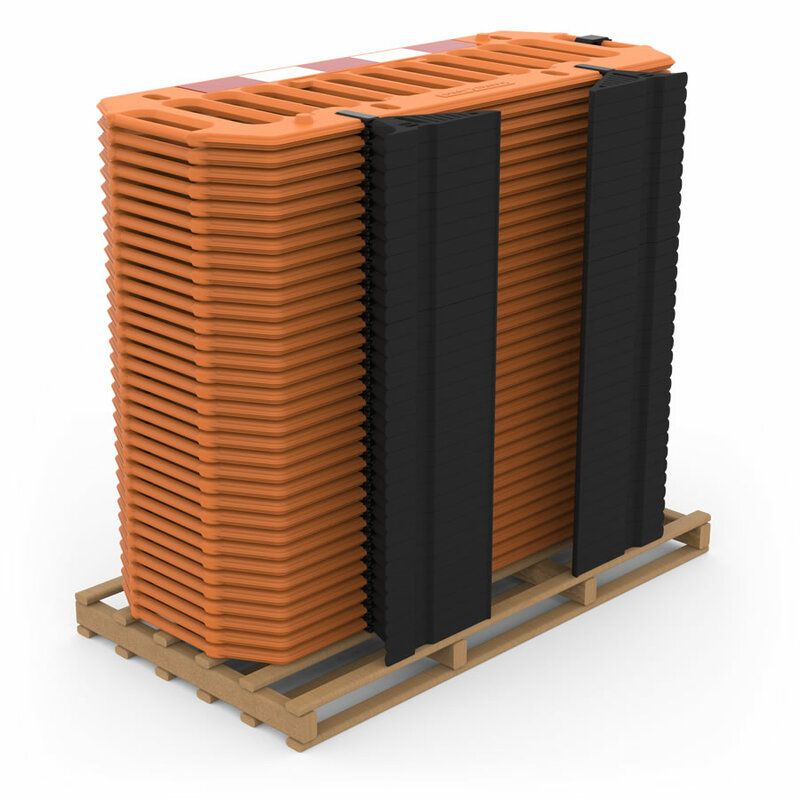 The Tough Barrier has been thoroughly tested in different configurations to ensure that it can withstand real-world wind speeds, we have provided configuration details along with their achieved wind speed below. 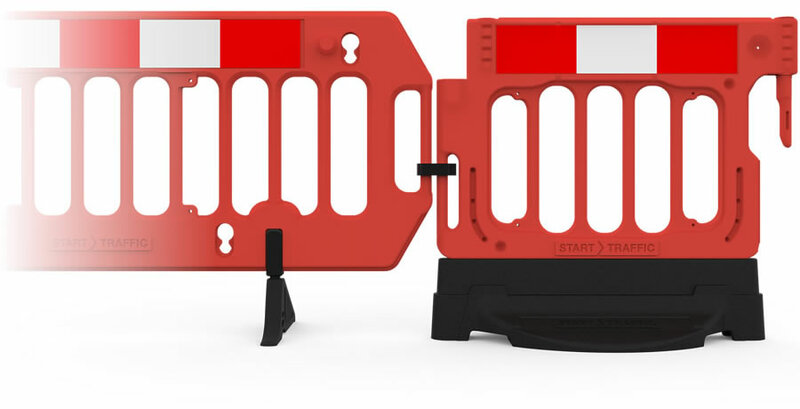 Non-trip feet are fitted to the Tough Barricade as standard, these improve pedestrian safety for any passers by. Should the feet ever become damaged they can easily be replaced. Custom color variants are available, allowing you to customize the Tough Barrier to your company branding. Please be aware that a longer delivery time may apply as well as a minimum order quantity. We are able to have your company or organizations name embossed on the product for easy identification and brand awareness. A minimum order quantity and longer delivery time may apply. 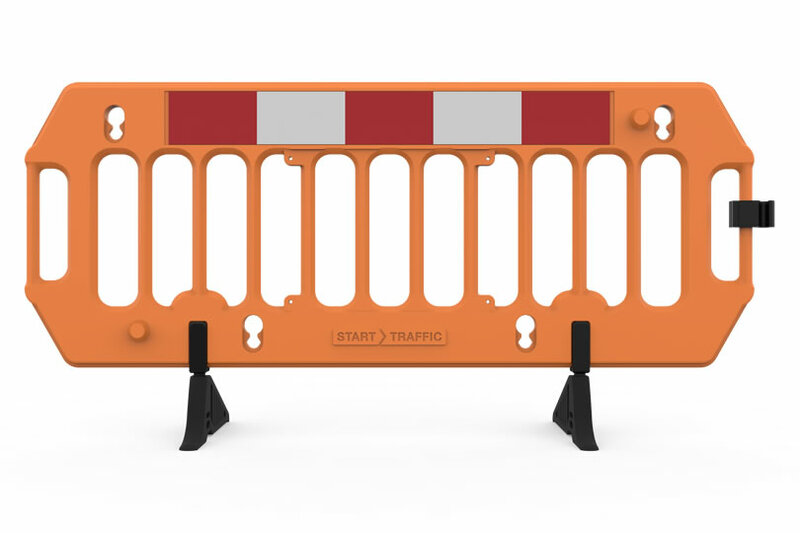 Contact our sales team toll-free at (800) 671-9662, our experienced staff will be happy to help you find the right barricade system for your requirements.